Are you spending too much time on your smartphone? Perhaps you’re sat on the couch? Maybe you’re waiting for your friend? How about waiting in line for your food? Whatever the case, the chances are there is something in your hand every time: your smartphone. While they can be great for helping us keep in touch with the rest of the world, could we really be spending too much time on our smartphones? 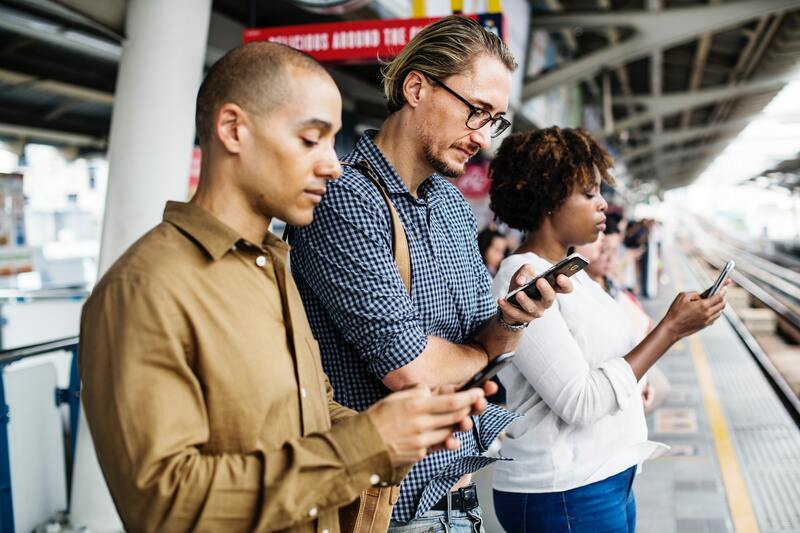 One of the first signs that we are spending too much time on our smartphones is our constant need to compare ourselves to other people around us. Scrolling through social media and seeing all those uploads of our friends on their latest vacation or getting a promotion at work can lead us to think about our own lives – and not in a good way. We can often be our own harshest critic, even when we don’t mean to be. This isn’t always spending time on own. Some of us are happy to be left to our own devices but need to have our smartphone in our hand to be happy. This can quickly result in hours of scrolling through our phones only to wonder where the day has gone. It’s believed that our brains get a boost of feel-good hormones whenever we check in with our phones, and this can see us craving more and more – no matter how hard we try to pull away. Yes, that is a real word. Phubbing people is when you can’t help but choose to look at your phone over listening to your friends or spending time with others. You might not realize you’re doing it, but eating at a restaurant, sitting with your family, or even having a conversation can all be triggers that we get out our phones and start tapping away over investing our full concentration into those around us. Do you need to check in with social media as soon as you wake up? Maybe you can’t bear the thought of heading sleeping without one final glance at the online world? If your phone is the first and last thing that you see in the day, then the chances are you might be spending too much time on your smartphone. Believe it or not, but this can also have significant effects on your sleep thanks to the blue light from the screen that tells your mind to stay awake. If you find you’re spending too much time on your phone and want to break the mold, then have no fear; it might not be as tough as it once seemed. Putting your phone out of reach when in bed, leaving it in another room, banning it from the bedroom, and turning off all unnecessary notifications can all be ways to break the habit finally. It might be tough to notice, but sometimes we can find ourselves spending too much time on our smartphones. Sure, they might be great, but could it be time to take a break?